FEARS of mob rule are growing after vigilantes targeted a teen gang in Dublin 15 – days after more than 100 youths terrorised residents in the village of Lusk. The ringleaders of the mob, who are believed to be behind a string of vicious assaults and robberies, were attacked in a bid to end their reign of terror. The gang, reportedly calling itself ‘the K45 Crew’, moves between Blanchardstown and north county Dublin and is responsible for a series of unprovoked assaults. On Saturday, residents in Lusk were forced into lock-down after around 100 teenagers invaded the village, throwing stones at buses and smashing up property. Gardai were alerted shortly after they got off the train in nearby Rush. They rounded up the gang members and escorted them back to the station. One eyewitness said: “About 15 of them ran down my road. Riot gardai got them. They were out for trouble, hitting the gardai and hiding behind bins. Protestors took to the streets in Balbriggan in December to demand a more visible garda presence in the town which, they claim, is in the grip of gang rule. Over the past 18 months, teen gangs have regularly travelled for fights arranged on social media to Donabate, Malahide and Swords. 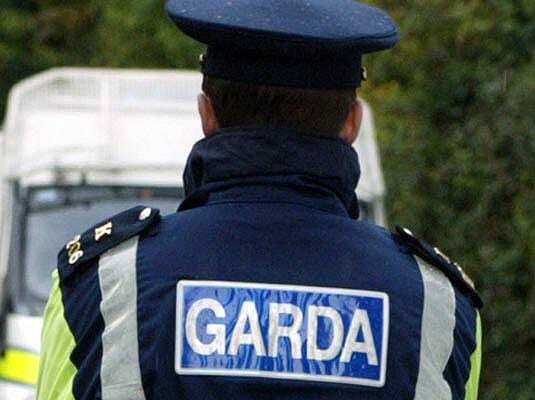 Gardai suspect the gang, which has African origins, is behind a string of attacks and robberies in Ongar, Mulhuddart, Tyrellstown and Clonee. There have been several arrests in recent months for assault causing harm, possession of an offensive weapon and violent disorder. Residents in Balbriggan have threatened to take the law into their own hands and in other Fingal towns a cohort of adults are also considering confronting the gangs. But Cllr Tom O’Leary (FG) has appealed for calm. He told Dublin Gazette: “Neighbourhood Watch is the best way to deal with this. Saturday’s incident has led to fresh calls for the reopening of Rush Garda Station to be fast-tracked.